« Otah to have to sit out the opener due to injury? The Panthers have made their decision at QB, as the team will be releasing Hunter Cantwell, keeping 6th round pick Tony Pike on the roster. The Carolina Panthers have made their quarterback decision. 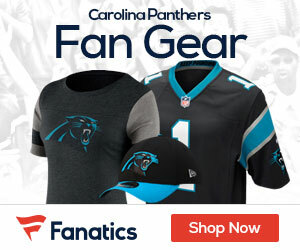 According to multiple league sources, the Panthers have decided to keep sixth-round pick Tony Pike as their third quarterback and waive Hunter Cantwell. Neither passer lit it up in the preseason, with Pike finishing with a team-high 58.4 passer rating to Cantwell’s 57.2.